Our catalog management solutions (Product Information Management, Cross Media Publishing) support companies in an effort to keep their customers up to date. From media management and simplified master data maintenance to the rule-based creation of sales and information materials to portal-controlled status reporting in real time, the portfolio of database-based communication extends. Rule-based control of Adobe Indesign via the bpi plug-in. 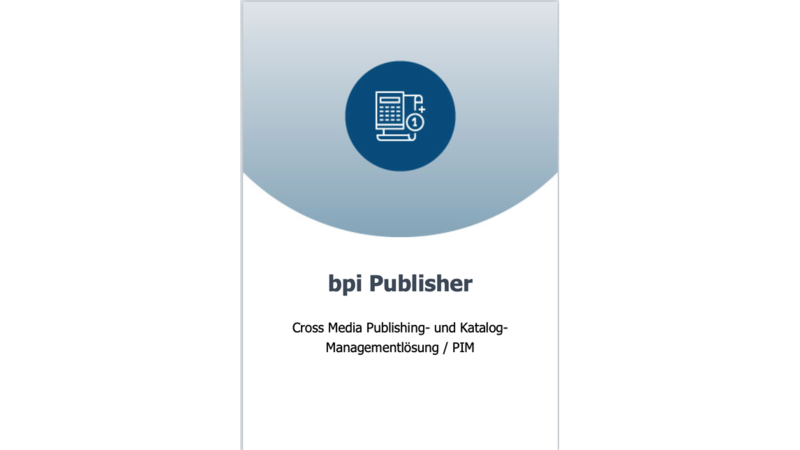 The bpi Publisher is the central cross-media publishing application for the central management of product information and its diversion. - High cost savings while significantly reducing production times and increasing quality.